Help today… for a better tomorrow. 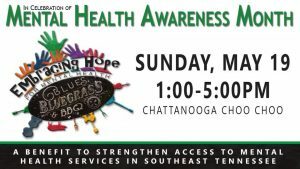 The Embracing Hope for Mental Health Event is set to be held on May 19th! We have a new office in Dunlap! Posted on March 1, 2019 under News. May is mental health awareness month and this event embraces spreading mental health awareness. Volunteer is so proud to be a sponsor for the Embracing Hope Event! top talent and restaurants, with performances and food being available throughout the day. Please click HERE for more information about the event, how to sponsor and statistics on mental health. Make sure and follow the Embracing Hope Facebook page too!